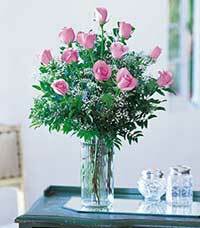 A charming basket of garden style flowers done in mixed pink and other colored flowers is sure to charm anyone. 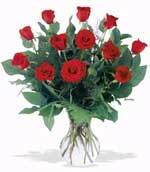 One dozen roses surrounded by delicate gypsophila and complemented with flourishing greens is always received with delight. 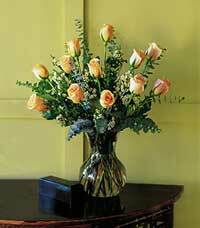 One dozen roses with a variety of garden accent greens will express your caring wishes to that special someone. This classic vase is filled with style and grace. Bring a touch of elegance to any special occasion with a mix of lacy white flowers in a dazzling silver vase. This unusual and beautiful vase will be used and appreciated for many years to come.